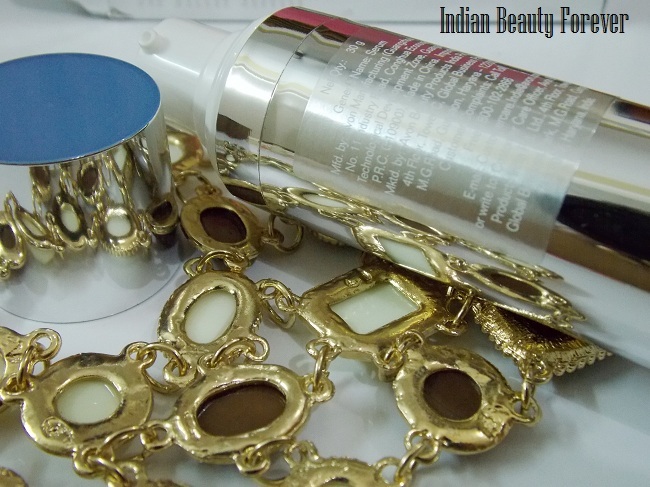 I am reviewing a skin care product that claims to reduce fine lines and wrinkles within few days. It’s actually a serum from Avon named as Anew Clinical Pro Line Corrector. I have been using this along with my mum for the past three weeks roughly and it’s time to scan this product today. Avon says ” Inspired by Nobel Prize-winning research that looked at blocking mechanisms of protein production, ANEW Clinical Pro Line Corrector leverages the power of A-F33 Aminofill, an innovative molecule that has been found in testing on skin cells to work in a way that other well-known anti-aging ingredients like glycolic acid, retinol, and CoQ10 don’t by deactivating critical collagen blocking in skin cells to help unleash untapped collagen. 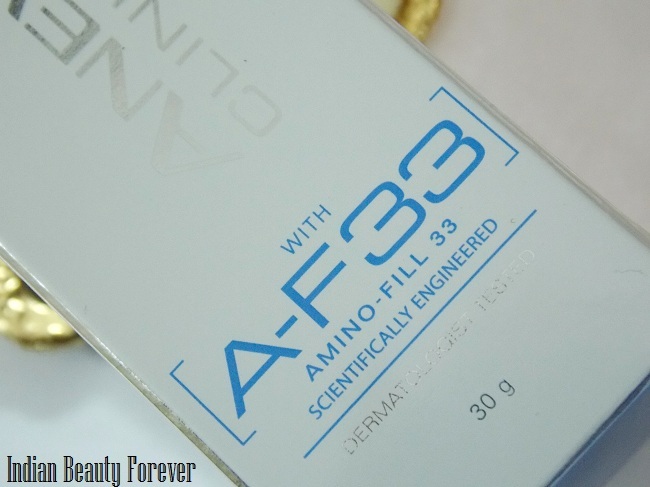 After 2 weeks AF33 helps to fill creases to dramatically diminish the appearance of fine lines. 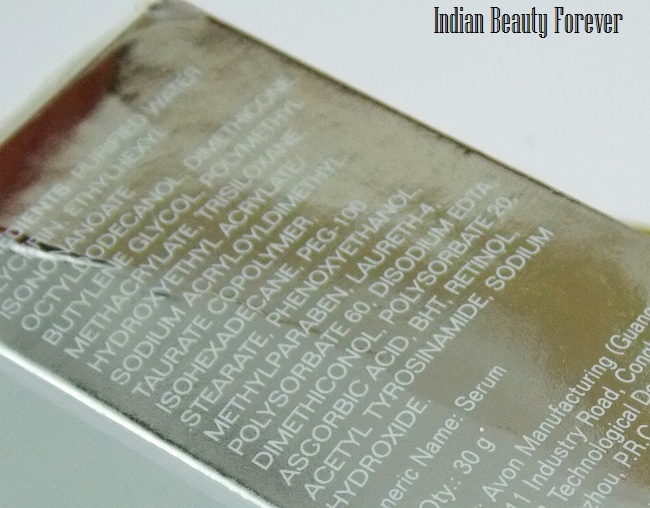 Experience- I always crib about my oily skin (that has now become combination) and the acne, that I face every now and then but there’s a positive side to it too, signs of aging are visible on oily skin much later as compared to dry skin types. I have only fine lines which most of us do when we reach mid twenties and my mum who in her late forties has mature skin with prominent wrinkles along with fine lines. 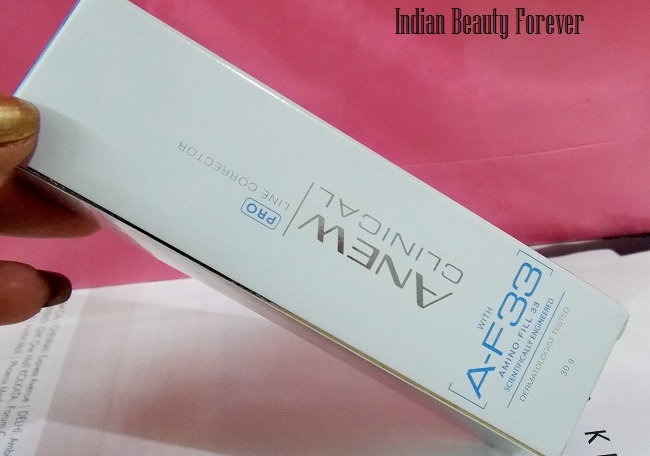 When I got this product and read the press release it claims that this serum Pro line corrector has the latest technology of Patented A-F 33 Amino - Fill 33, which helps boost skin’s collagen production. 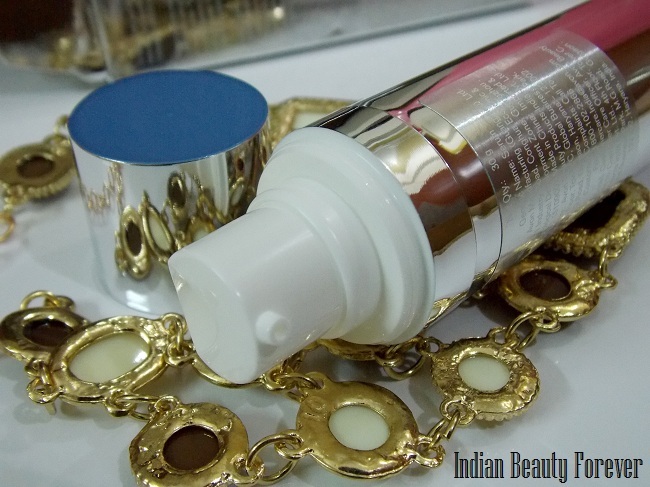 This Serum comes in a mirror finished silver pump which works perfectly well and contains 30 g of product. It has a shelf life of 36 months. The actual product is a sheer creamy creamy fluid which has a serum like texture and consistency and once massaged gets absorbed into the skin very quickly. I have oily skin it so, when it is fully absorbs, my skin doesn’t feel greasy at all. It doesn’t have a fruity, floral or any such kind of fragrance that we commonly see in skin care products, but a subtle smell which isn’t too strong and at times you won’t even feel that it has a smell. It says that we have to apply it twice a day after cleansing the face and after using this we need to apply a moisturizer. 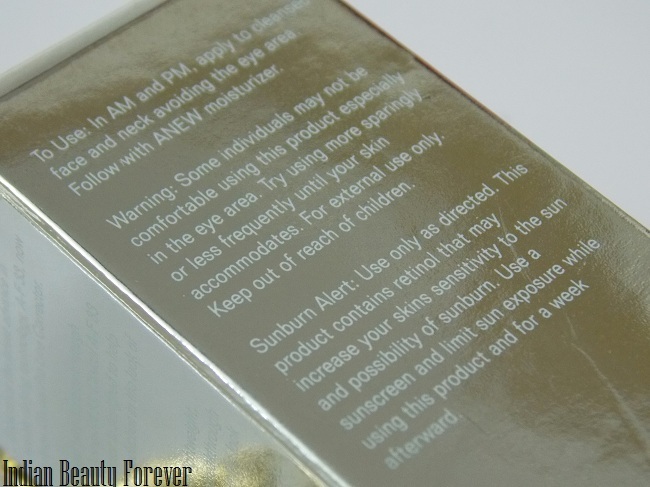 If you are using it during the day time then you may use sunscreen too. I use it only during the night time and during the time I have been using it, I realized that there was a mild tingling sensation after 2-3 days which even my mum faced. It a little like burning sensation which goes away once you are adapted with this serum. I noticed that my skin felt good. 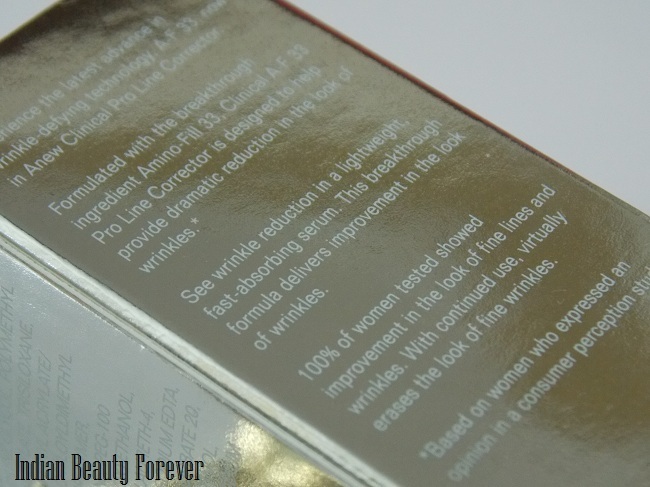 Texture was improved and the fine lines that I have, were reduced to some extent thus, for that I like this product. It has not break me out yet and I pray no product should ever! There were tiny fine lines on my forehead which have noticed have been reduced. Now my mum has mature skin and she saw a positive changes too as her skin felt a little plump and fine lines were noticeably reduced but no visible changes on wrinkles. May be she needs to give this product some more time. One more thing she has dry skin so, she has to use moisturizer after this which I tend to skip. Both of us used this during the night time only. Overall, I think this product works on fine lines and improve skin texture over the time. It has retinol so, if you are wearing this during the day. make sure you wear your sunscreen or in anyways sue sunscreen while you are using this product! Skin appears brighter and smooth. Mild burning sensation after few days that subsides. 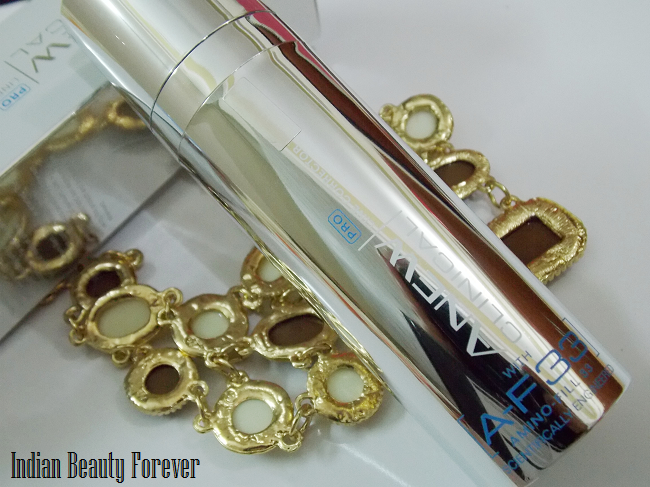 My take- Avon Anew Clinical Pro line Corrector is an anti aging serum that makes skin appear plump, bright and improves overall skin texture. It does help in fine lines reduction, though needs more time for wrinkles. Packaging and the fact that the serum is great for even oilier skin types which absorbs fast and will not break out, is its highlight for me. Well it work slow but get it done. Great review one again. I have used many Avon products, but not this one. Thank you Demi!! It works too! I am using this too, you are right that it does have tingling effect, incase you have breakout then it hurts more. Also I notice that skin look shiny after applying this. Even I feel that the skin is shinning and glowing! Havent tried this...would love to try. Thank you sam! :) It does works well on fine lines. I agree progress is a bit slow as claimed. Thank you! :) I know dear, it is expensive! Great Review but will skip this one! Good review seems to be a good product. Lovely review dear.. it expensive adn works but so sloww.. :(.. Thank u Poo!! :) I think the same. Seems good but i am scared of products tht burns. Will try other variant. Wow nice plump glowing skin seems awesome but expensive. It is but price is huge for the quantity! I think you should start using them from this winters onwards as winters tend to make skin more dry. Mid twenties is fine to start using anti aging skin care.